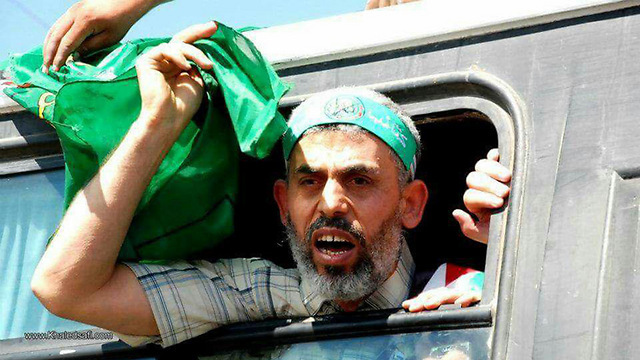 Op-ed: Ahead of the publication of a rare interview with Yahya Sinwar, Hamas’ leader in the Gaza Strip, his words should be read within the framework of ‘know thy enemy’; Israel made a mistake in releasing him from prison as part of the Gilad Shalit deal, like a thousand other mistakes the government has made in the past. The ideology behind the demonstrations on the Gaza border fence—the explosives, the snipers, the budgetary investment in the tunnel system, and the “tahadiya” (temporary cessation of hostilities)—is the destruction of Israel. Everything is controlled by the Palestinian military chief, Yahya Sinwar. What prevents him from realizing this ideology is the reality, which constantly comes knocking at his door—the Israeli iron wall. Since Palestinian nationalism was invented in the 1960’s, as counteract to Zionism, there was no better demonstration for the iron wall than the Gaza border fence. Sinwar and his people know very well that ideology is one thing and reality is another. They preserve ideology to preserve power. So, economically speaking, they invest in “victory” rather than in life itself, thereby choosing weapons over infrastructure. Sinwar’s words should be read within the framework of “know thy enemy,” not as information or facts. 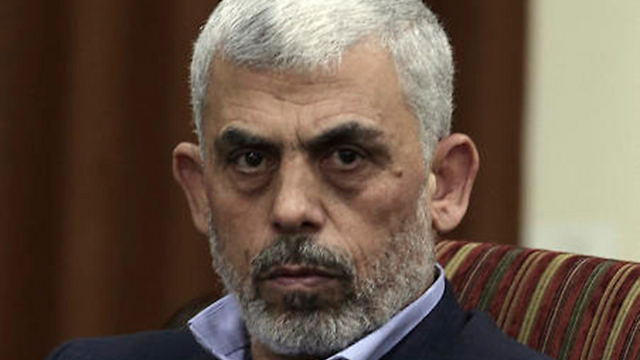 After spending 22 years in an Israeli prison— in which an Israeli doctor saved his life— the Hamas leader knows us well. He is especially familiar with the weaknesses of a democratic state fighting a terrorist organization. Behind his words is the utilitarian culture of fallacy, according to which, lying is a legitimate approach. Sinwar lies to his people and robs them of hope, in the name of a greater goal. He lies to every foreign leader and journalist arriving in Gaza, and has no problem lying to Israelis as well. Therefore, truth can only be found in numbers and trends. As Hamas tightens its grip, Gaza’s living conditions, including water and electricity availability, decline. With the passage of time, the percentage of Palestinians living off donations increases. As Sinwar’s reign continues, Gaza becomes more and more volatile. Under his rule, Gaza is constantly on the verge of war, and peace is out of sight—the writing is on the wall. There is another important lesson to be read between the lines: Gaza’s distress is not going away, Hamas’s ideology will endure, and so will its use as a political tool— no matter which regional player intervenes. The State of Israel needs to make strategic decisions instead of arguing over who said what during cabinet meetings. Sinwar is not Sadat. 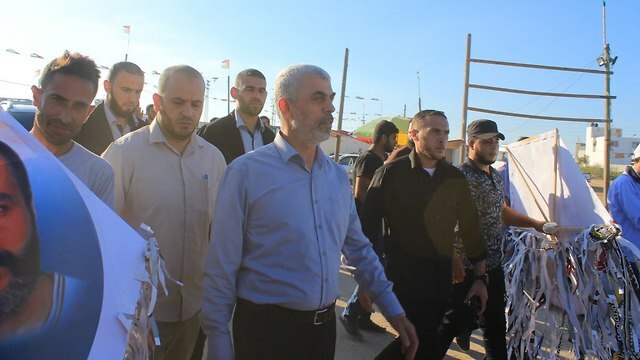 Assassinating Hamas’s leader—a possibility raised by Lieberman once, unintentionally—must be on the table, and with it, a military resolution, or, alternatively, the development of economic incentives so that Gaza will have much to lose. Listen to Sinwar, read between the lines. He mustn’t be the one to dictate Israeli strategy.